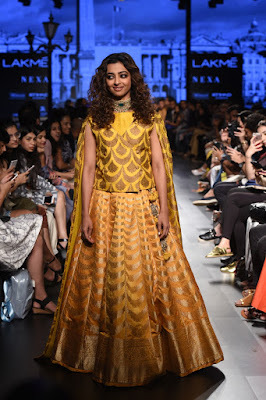 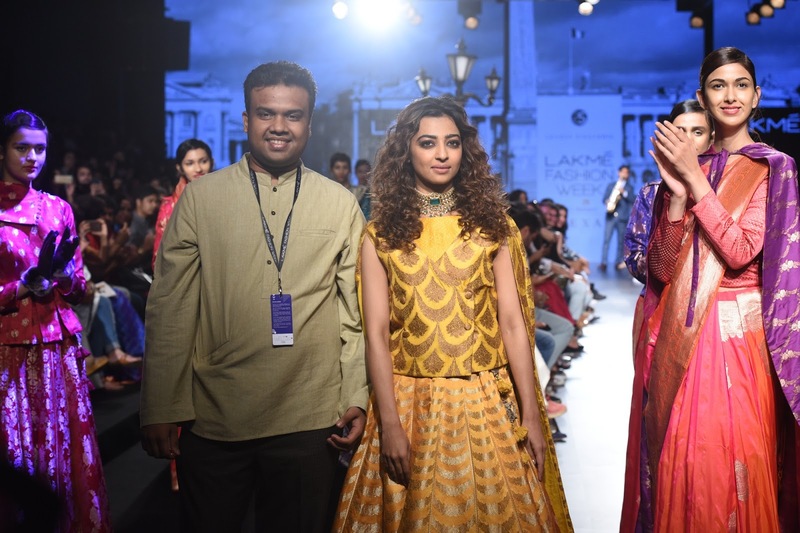 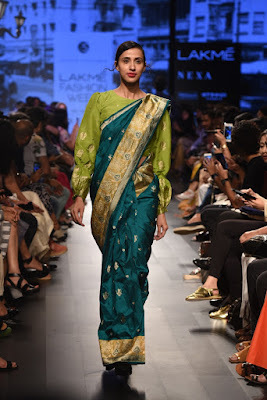 Actress Radhika Apte - the talent powerhouse graced the ramp for the Hyderabad based handloom Designer ‘Sailesh Singhania’ on DAY 3 at Lakme Fashion Week Winter|Festive’17. 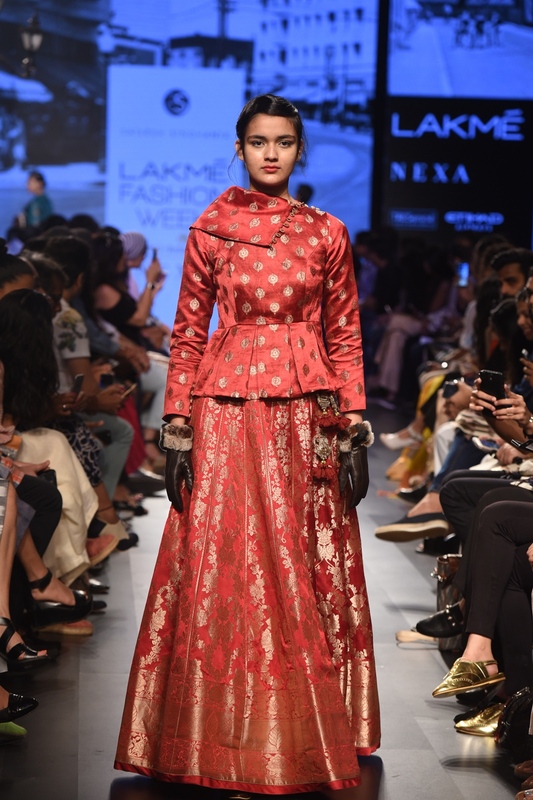 The collection themed ‘The Winter Rose’ is deeply inspired by the westernized interpretation of the sari usually worn by the Princesses in warm climate of India to acclimatise to the cold, windy London and Paris during their visits while fully retaining their opulence and glamour. This collection pushes the boundaries on the perception of hand-woven textiles by infusing playfulness while tightly retaining the highest quality of the craft of handweave. The colours are a celebration of festive winters with ruby red, celebratory orange, royal purple and fuchsia pink, emerald green with luxurious vintage gold zari work. Actress Radhika Apte expresses, “The designer is committed to nurture the handloom heritage of India. 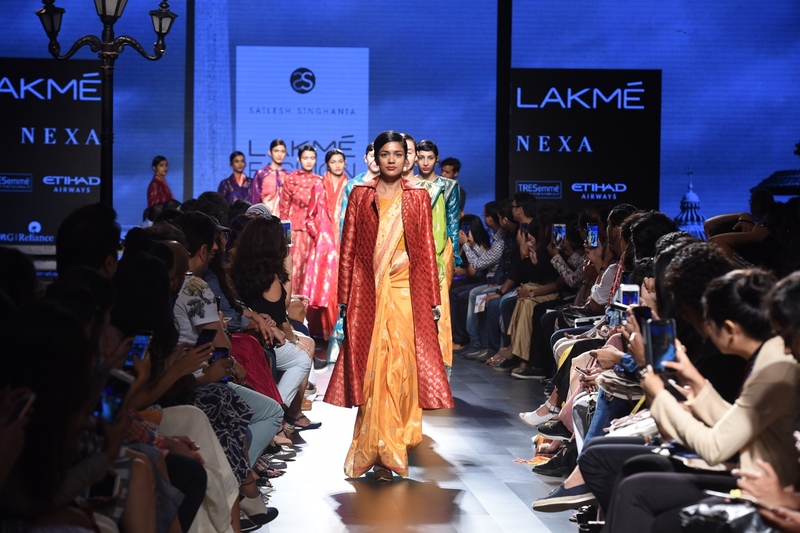 He sustains 22 amazingly talented weaving communities and empowers them to commit to their craft. 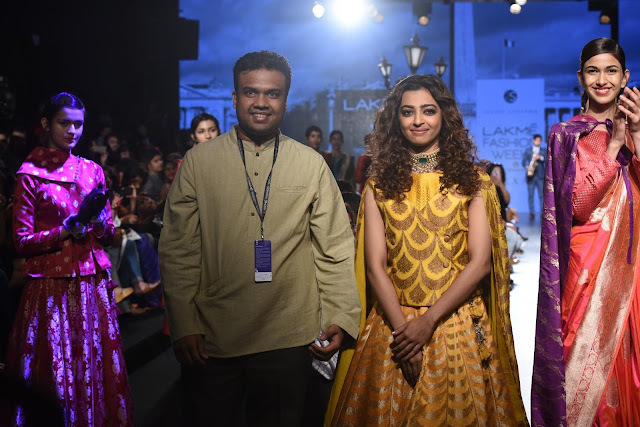 It was pleasure to walk for him at Lakme Fashion Week W|F 2017 and showcase the weaving heritage. 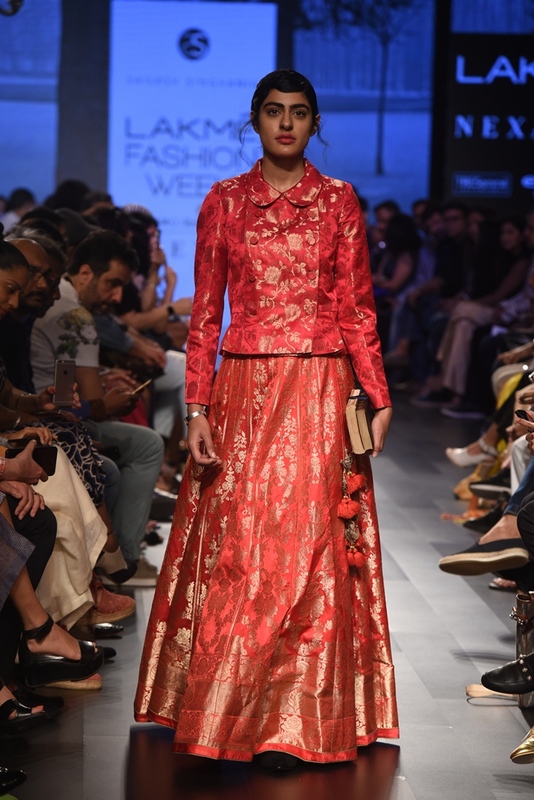 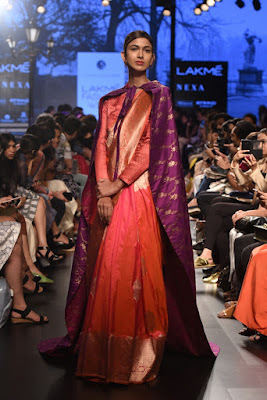 Designer Sailesh Singhania says,"I am paying homage to the Princesses in the opulent handwoven silk saris and lehengas that lovingly hold in its warp and weft all that was dear to these ‘Beauties with a Purpose. 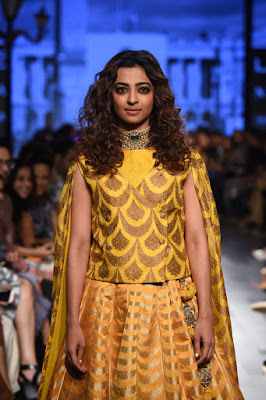 It was really a pleasure being a part of Lakme, i couldn’t think of anyone else who could fit perfect for being my muse than Radhika Apte"
The silhouettes are western with long over-coats, trench, pea coats with high collars in remembrance of our Royal roses while travelling in Europe, caused a furor among the onlookers who thronged to get a glimpse of their beauty and impeccable, unequalled style.